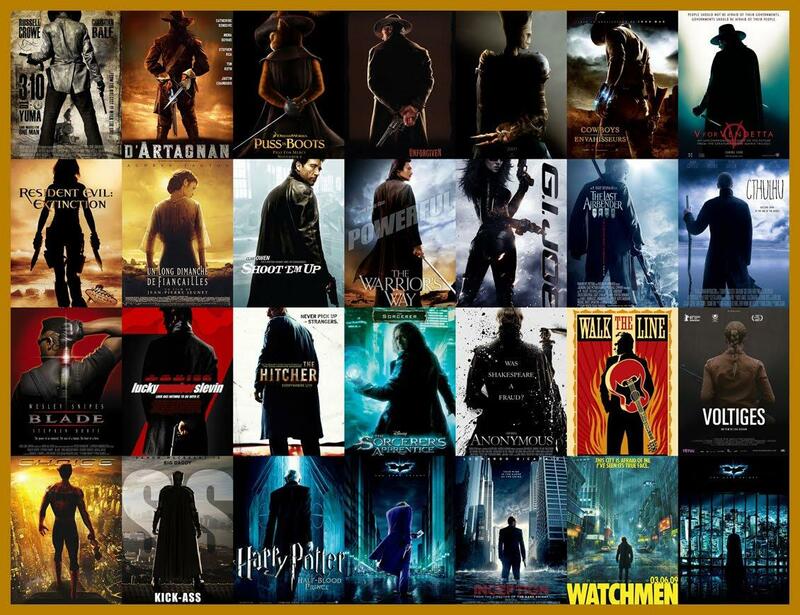 Ever notice how so many movie posters are really similar? 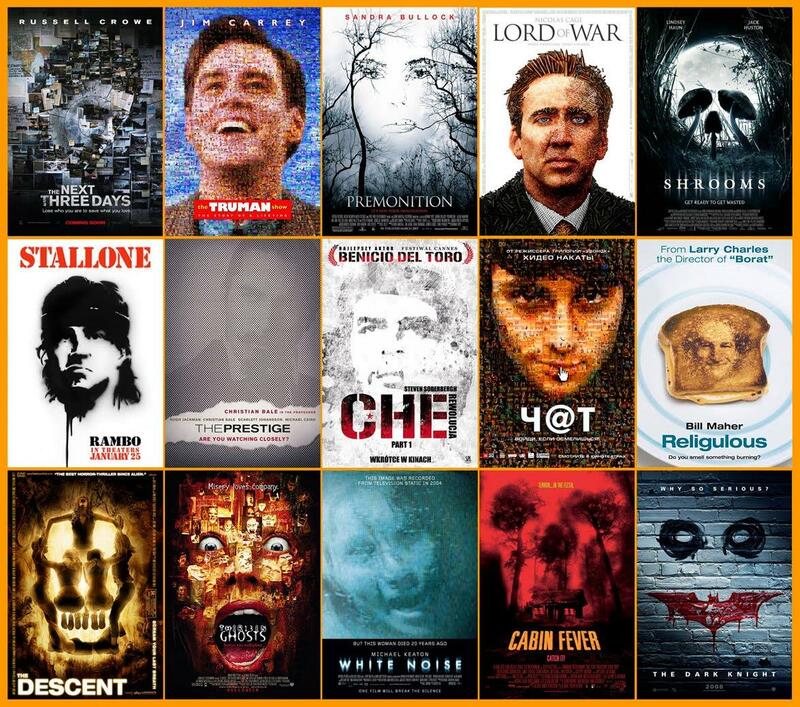 As a French film distributor, Christophe Courtois is a poster expert that has seen enough of them to know what he is talking about. After noticing that many posters use the same hackneyed ideas and designs over and over again, he decided to create a blog that highlights these banalities, dividing each cliché into individual mosaics that contain similar movie posters. We’ve highlighted some of his most amusing mosaics. Movie advertisers and marketing experts, take note! 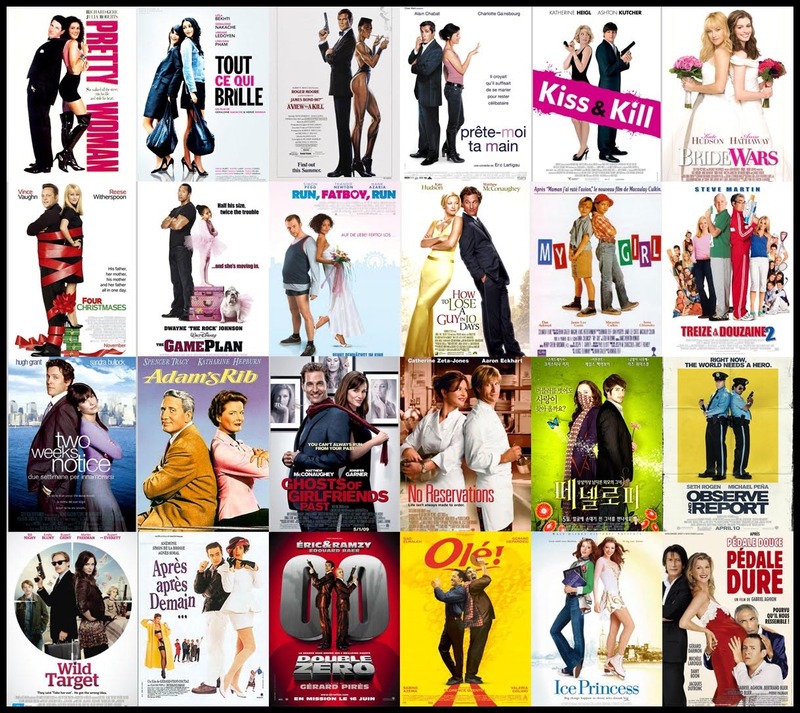 This design cliché is especially prevalent in romantic comedy posters but the rationale behind it is not particularly clear: Is it some kind of gender equality statement? Does it highlight the closeness of the two protagonists? Your guess is as good as ours. Extra marks go to the posters that show the female lead folding her arms, which evidently shows that she is distinctly unimpressed with her male counterpart. Or perhaps it is meant to accentuate her ballsiness and strength of character (before she falls head over heels in love with the guy of course). Ah the indie film: A bastion of playful kookiness and unconventionality, usually sountracked by The Shins or other similar indie outfits. 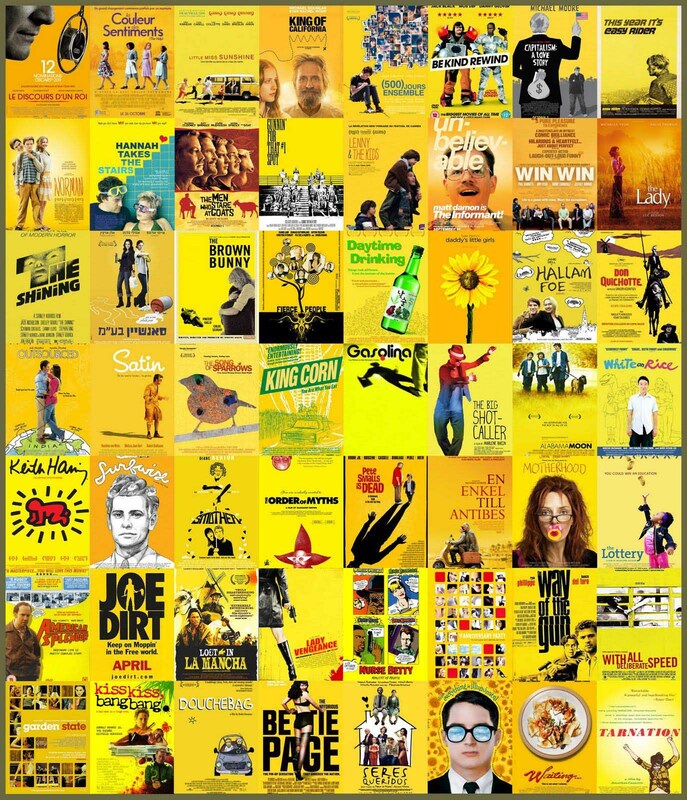 However, for a movie genre – and it has definitely become a genre – that strives so hard for originality and uniqueness, it is a bit too fond of the color yellow in its posters. After thorough research (i.e. searching “yellow” on Wikipedia), it would appear that the color represents “sunshine, reason, optimism and pleasure”. You can understand why a marketing team would go for it, but how about some more originality in the future?